The European Union has taken a corrective step forward in protecting the fundamental right to privacy for every EU resident with the General Data Protection Regulation (GDPR) which will be effective from May 25, 2018. EU residents will now have greater say over what, how, why, where, and when their personal data is used, processed, or disposed. This rule clarifies how the EU personal data laws apply even beyond the borders of the EU. Any organization that works with EU residents’ personal data in any manner, irrespective of location, has obligations to protect the data. Atlas Autoservice is well aware of its role in providing the right tools and processes to support its customers. 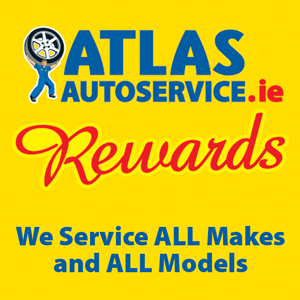 At Atlas Autoservice, we have always honored our users’ right to data privacy and protection. We have never shared customer information with third parties. Over the years, we have demonstrated our commitment to data privacy and protection. We already have strong data processing agreements and processes, and we are revising them to meet the requirements of the GDPR. We recognize that the GDPR will help us move towards the highest standards of operations in protecting customer data. This document covers how Atlas Autoservice collects, uses, discloses, transfers and stores your personally identifiable data. The content of this document applies to you when you use services in branch, online, via social media interactions, telephone, text, websites and any other form of correspondence. The Group collects your personal identifiable information in order to provide a better service to you. The information you give is stored with your account. When using the Atlas Autoservice website, information from cookies is used to improve your customer experience, including customised search results, spam and malware detection. The Group may also collect device-specific information such as your location and log-in frequency information. Your web browser may provide the Group with information about the device you are using such as an IP address and details about the browser you use. Group related websites contain hyperlinks to websites operated by third parties who have their own privacy policies and related cookies. The Group does not accept liability for the privacy practices of these third parties. The Group is committed to protecting the personally identifiable data you provide. When you share your information with the Group there is a legal obligation for it to only use your data in line with data regulations. The Group uses a third party service to help maintain the security and performance of its websites. To do this it processes the IP addresses of website visitors. The Group uses Google Adwords, an online advertising/re-marketing tool from Google Inc. to place ads in Google search results and other websites which you may find of interest. To help the Group track sales and other conversions from our advertisements, the Group uses the conversion tracking feature provided by Google Adwords which places a cookie on your device when you click on one of the advertisements. The Group is not responsible for the placement of these cookies. Google uses the information obtained from conversion cookies to compile statistics including the number of users who clicked on the ad and the pages then accessed by each user. Conversion cookies are only active for 30 days and cannot be used to identify any personal information. Cookies are small data files which are placed on the browser or hard drive of your computer. Cookies distinguish you from other users. This helps to provide you with a good experience when you browse the websites and also allows the Group to improve its website. It is important to appreciate that the service may not function properly if these cookies are disabled. The Group uses persistent cookies on its websites to store your browser settings for future visits. These are held for 1 year. Session cookies are used to identify your requests whilst you are logged into the website. This allows the Group to provide functionality relevant to your login and improve your website experience. The Group uses session cookies throughout its websites which are essential to booking systems. Session cookies are used which store information related to your order to enable the Group to assist you if you have a problem with your bookings. An “IP Address” (a number that is automatically assigned to the computer that you are using by your Internet Service Provider) may be identified and logged automatically in the Group’s server log files whenever you access the services, along with the time of the visit and the page(s) that were visited. The Group uses IP Addresses for purposes such as calculating usage levels of the services, helping diagnose server problems and administrating its services. The Group will ask for your consent before using your information for a purpose other than that it was provided for or authorized to use. Reminder Purposes: The Group will only contact you for service intervals and safety reminders where you have given consent to do so. The Group may personalize the message content based upon information you have previously provided. Social Media: Social Media communications such as: Facebook, Google etc will be responded to based upon the information you have previously provided. Transactional: The Group will communicate with you in order to complete any transactional commitments. An Garda Síochána and security organisations. All your personal identifiable data is processed by our staff in the Atlas Head Office, for the purposes of IT hosting and maintenance. This information is located on servers within the European Union where appropriate contractual safeguards are in place. No third parties have access to your data unless there is a lawful basis to do so. The Group holds your personal identifiable data on its systems for as long as is necessary relevant to the transactional, tax and legal obligations and marketing interests consented by you. Unfortunately, the transmission of information via the internet is not completely secure. Although the Group does its best to protect your personal data, it cannot guarantee the security of your data whilst it is transmitted to its site; any transmission is at your own risk. Once in receipt of your information, the Group will use procedures and security measures to prevent unauthorized access.